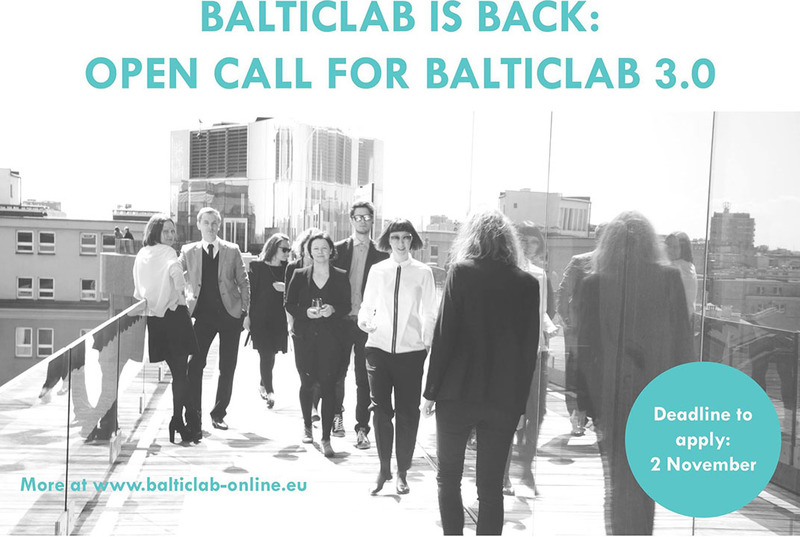 Dawid Strębicki will participate in the “Balticlab 3.0” event in Stockholm, Sweden. Atelier Starzak Strebicki as one of the speakers at the event “Freshlatino2” in Cracow, Poland. The event is organized by Instituto Cervantes. We have been invited to the festival “Futurology – New Generations Festival – 2nd Edition” in Florence, Italy. Our contribution is made possible with the support of Adam Mickiewicz Institute. Lecture by Dawid Strębicki at the conference “stad en land” (city and landscape) in Kortrijk, Belgium. Publication of interview with Flemish Government Architect Peter Swinnen in the architectural-magazine Zawód:Architekt #40. The talk was held by: Ewa Frankiewicz, Dawid Strębicki and Sebastian Osowski. 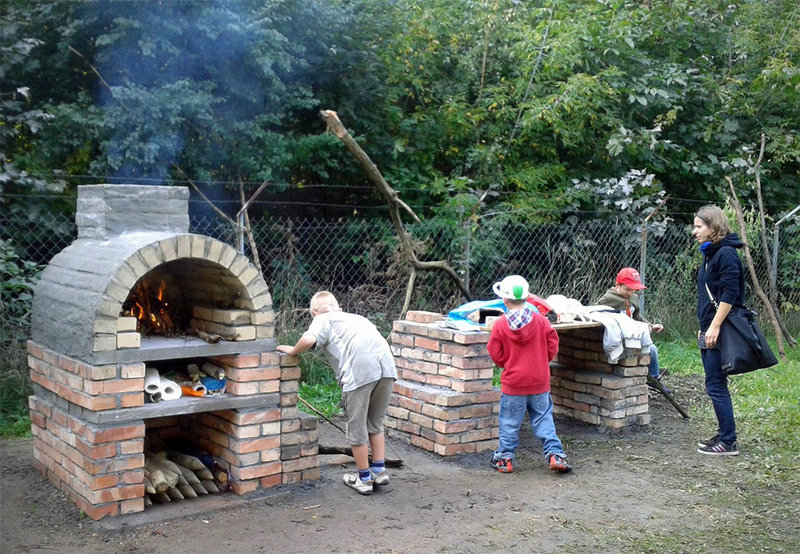 Together with inhabitants we have build a pizza oven and a greenhouse in Park Kasprowicza in Poznań, Poland. It was part of the events organized by Kolektyw Kąpielisko. 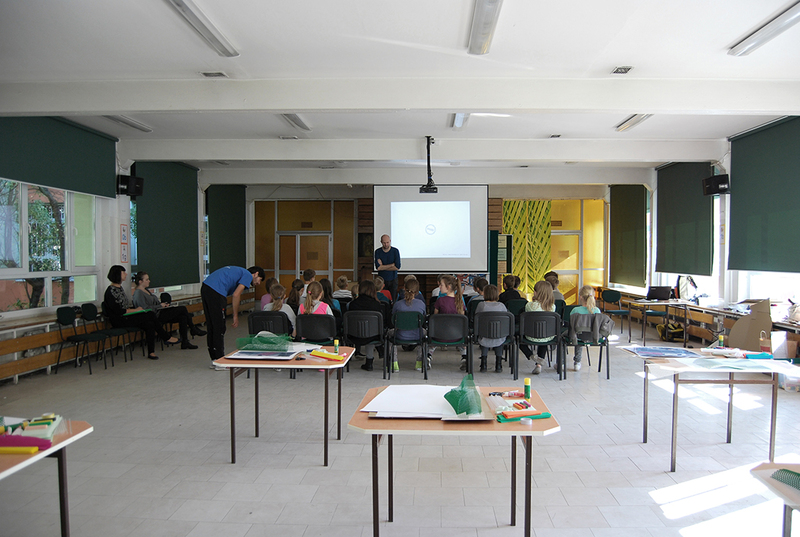 Guiding workshops with pupils from primary schools number 6 and 51 in Poznań, Poland. 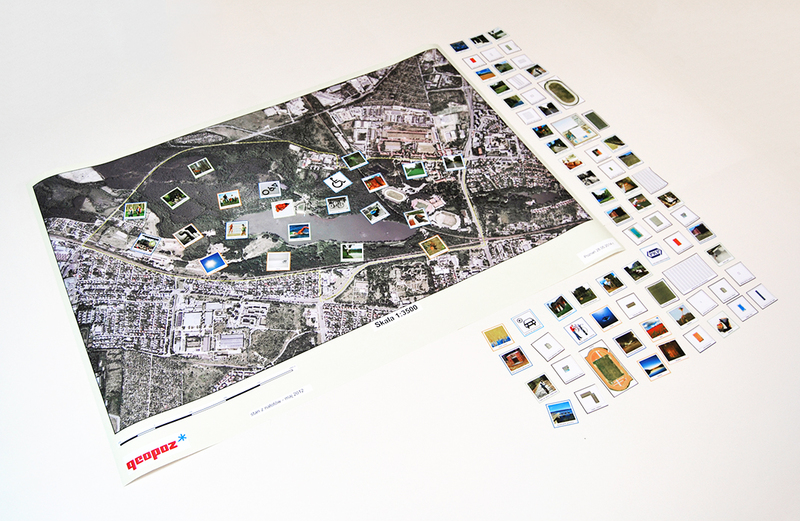 Workshops concentrated on functioning of the nearby sportfields “Orliki”. SPOT Foundation in collaboration with Atelier Starzak Strebicki are inviting to participate in a competition focused on Jan Paweł II Park in Poznań, Poland. We were participating in the project “Design w Domu Dziecka”, giving a two day workshop in the orphanage house in Szamocin, Poland. 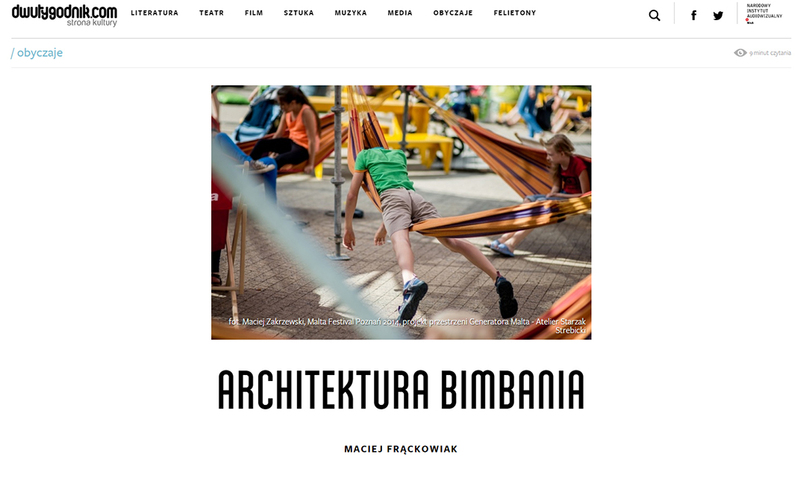 “Design w Domu Dziecka” is a series of participatory workshops for the children living there and their tutors, with the aimed effect of designing and realizing a new dining room, one that can answer the needs of the children. 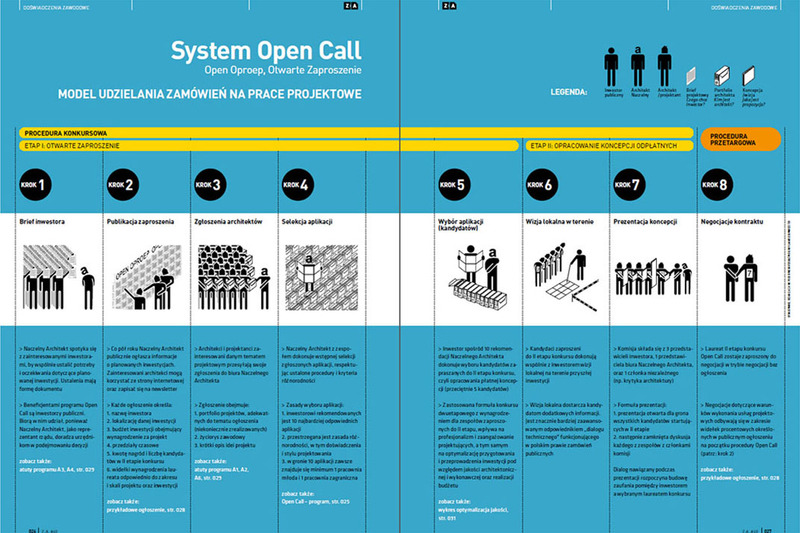 The series of workshops have been organized by School of Form, SWPS and Urząd Marszałkowski Regionu Wielkopolski. 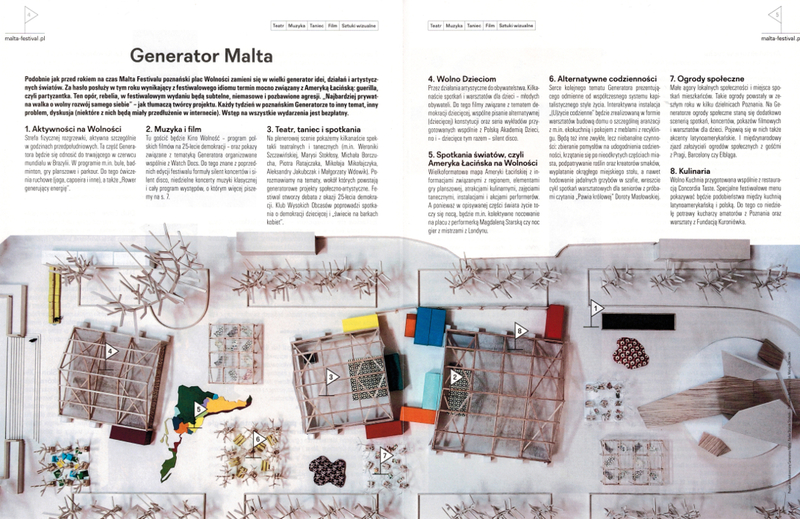 Projects Malta Festival 2014 and City mattress – Fajrant have been discussed in the article “Architektura Bimbania” by Maciej Frąckowiak in the magazine Dwutygodnik. 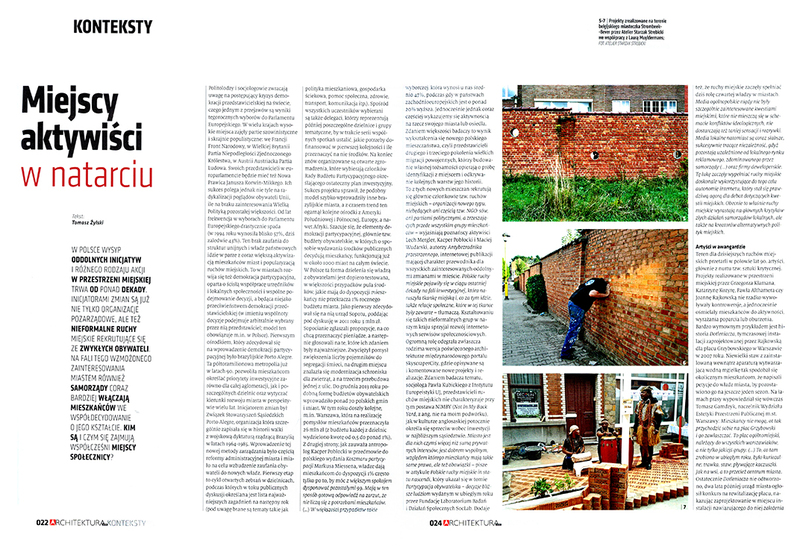 Participation projects for Strombeek-Bever have been published in the article “Miejscy aktywiści w natarciu” by Tomasz Żylski, Architektura-Murator 08/2014. 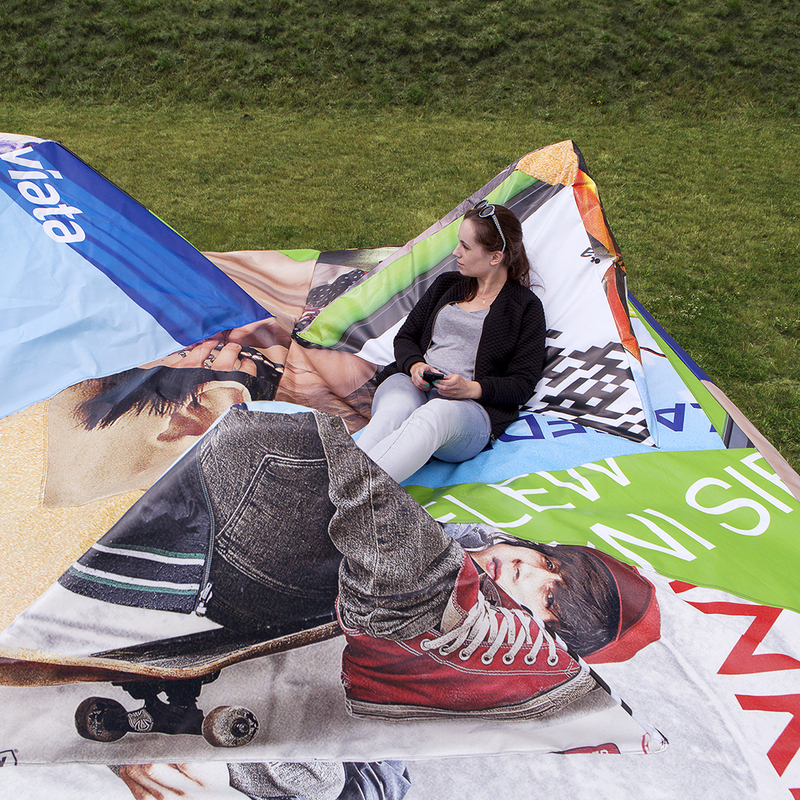 City mattress – Fajrant for the Gdynia Design Days 2014 completed. 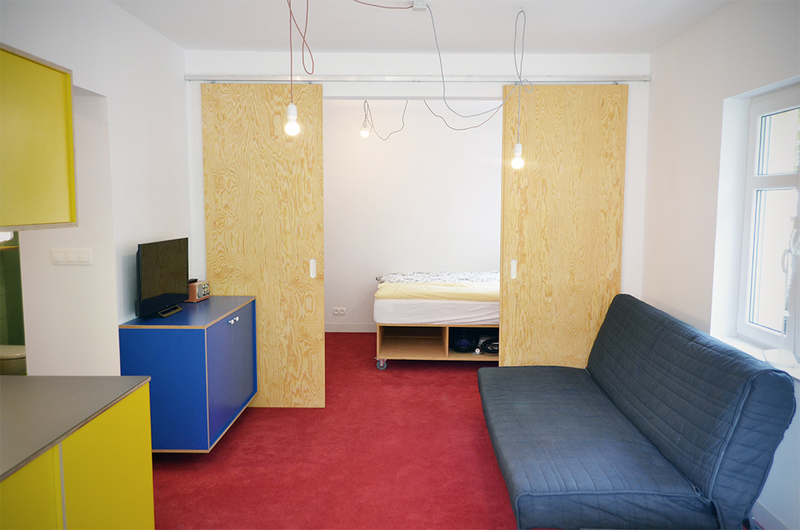 City mattress – Fajrant is part of the main exhibition “Miasto+ 5.30.60” which is curated by Agnieszka Jacobson-Cielecka. City mattress – Fajrant has been designed and produced for the Gdynia Design Days festival. 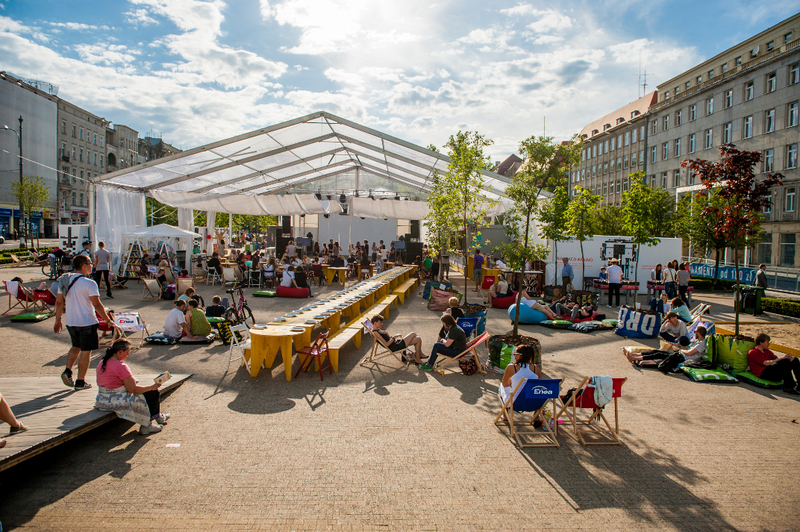 The festival is organized by Gdynia city, Pomorski Park Naukowo-Technologiczny Gdynia and Centrum Designu Gdynia. We have been invited to realize one of the seven objects for this year’s main exhibition of Gdynia Design Days. This year’s theme is the city: about it’s identity and it’s inhabitants. The curator of the exhibition is Agnieszka Jacobson-Cielecka. Parking Day. One day student workshop. Park(ing) Days are held annually on the third Friday of September, when urban residents all over the world transform metered parking spaces into areas that are friendly to people. This pacifistic demonstration aims to show that people are the most important in public space. 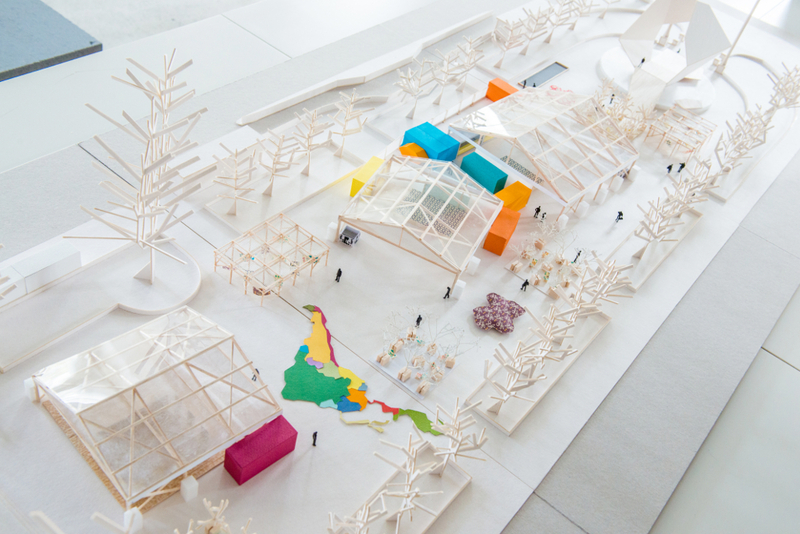 Atelier Starzak Strebicki together with Paweł Grobelny will guide one of the five student groups. We were supporting the City Government of Poznań in public consultation related to the neighborhoods of Golęcin and Rusałka – “Jaki Golęcin, Jaka Rusałka”. Together with Katarzyna Chajbos and Paweł Grobelny. Platforms Villegas De Clercampstraat. Platforms for the inhabitants of Strombeek-Bever. 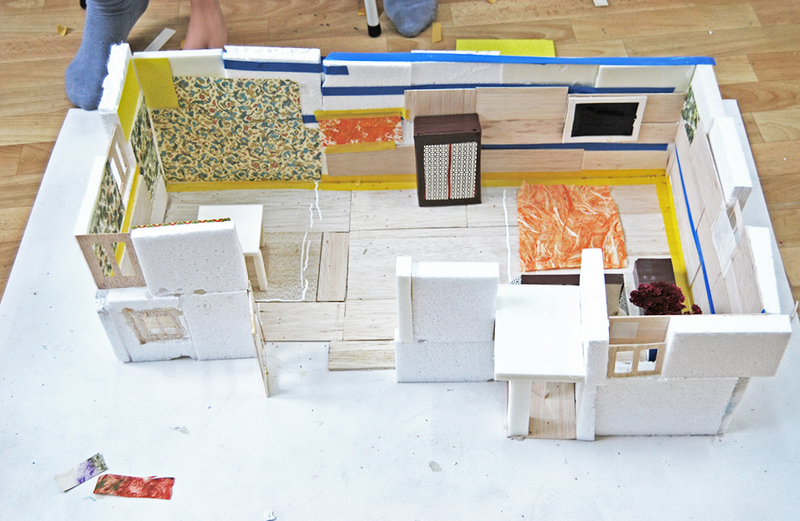 Together with inhabitants we have build three platforms for the neighbourhood. 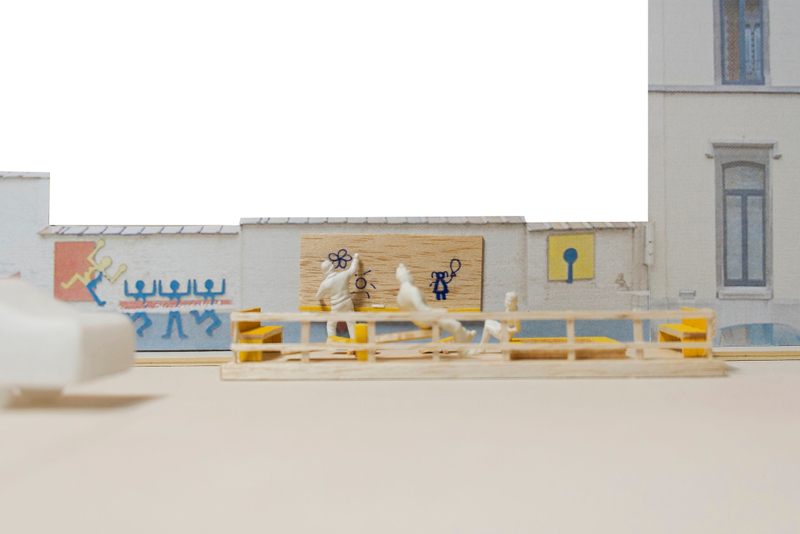 This is the third intervention with the title “Platform” of the participation project that runs along the master plan that is in the making for the city of Strombeek. In collaboration with Laura Muyldermans and De Bende. 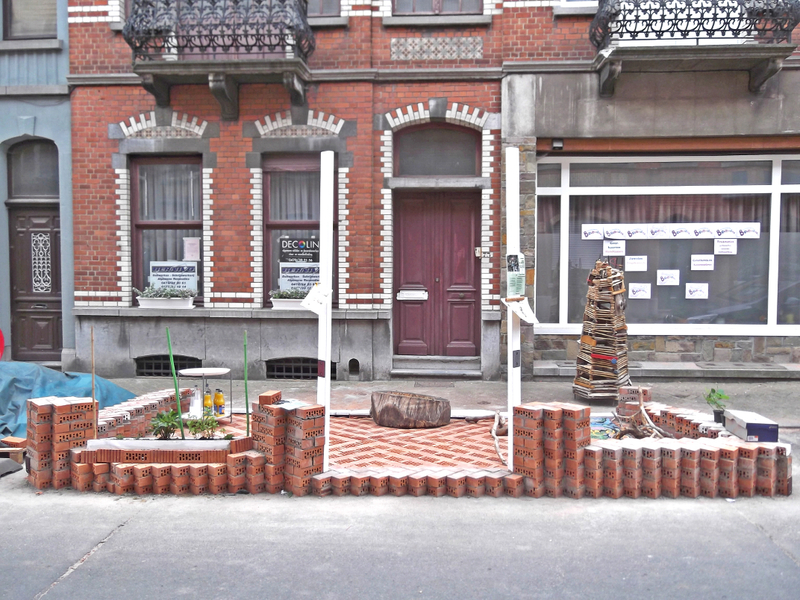 Together with inhabitants we will build platforms / enlarge sidewalks in Strombeek near Brussels. From 11th to 14th of June. Together with Laura Muyldermans and De Bende. Extra on Malta Festival Poznań 2014 in “Polityka”. Press conference of Malta Festival, during which we presented the design for Malta Festival Poznań space which will be realized on Plac Wolności in Poznań, Poland. 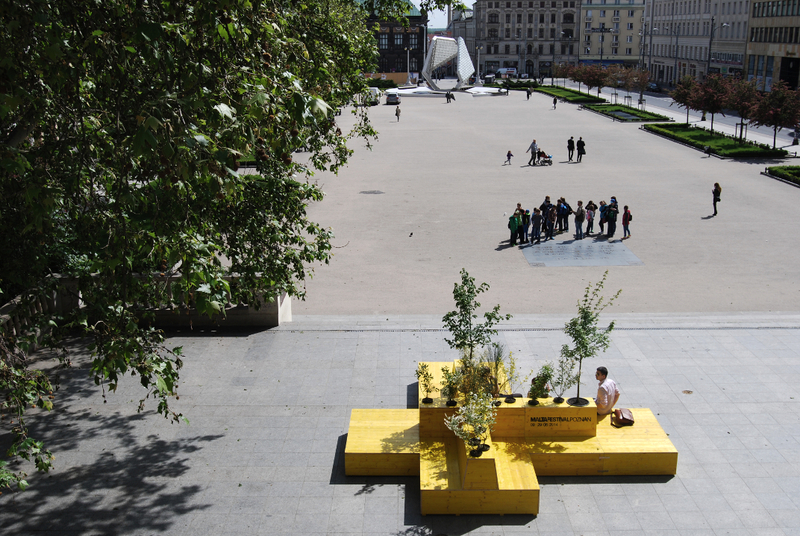 Project Garden Plac Wolności for Malta Festival completed. 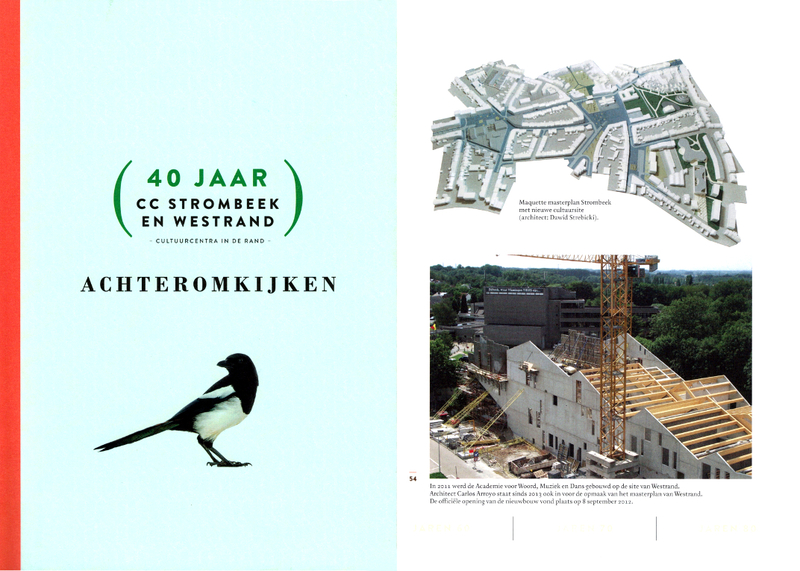 Discussion between Carlos Arroyo and Dawid Strębicki about Westrand and Strombeek published in the book “40 jaar CC Strombeek en Westrand – Cultuurcentra in de Rand”. 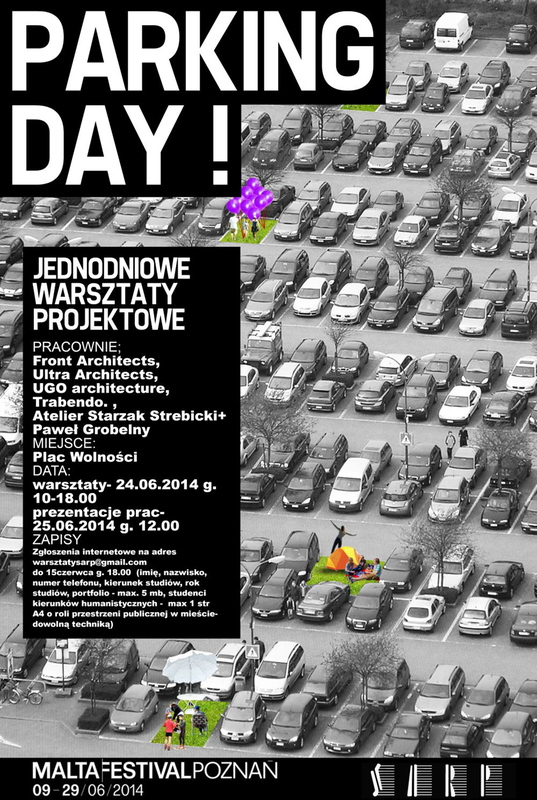 Lecture by Dawid Strębicki as one of eight lectures at the event “przegląd poznańskich pracowni architektonicznych” at School of Form in Poznań, Poland. 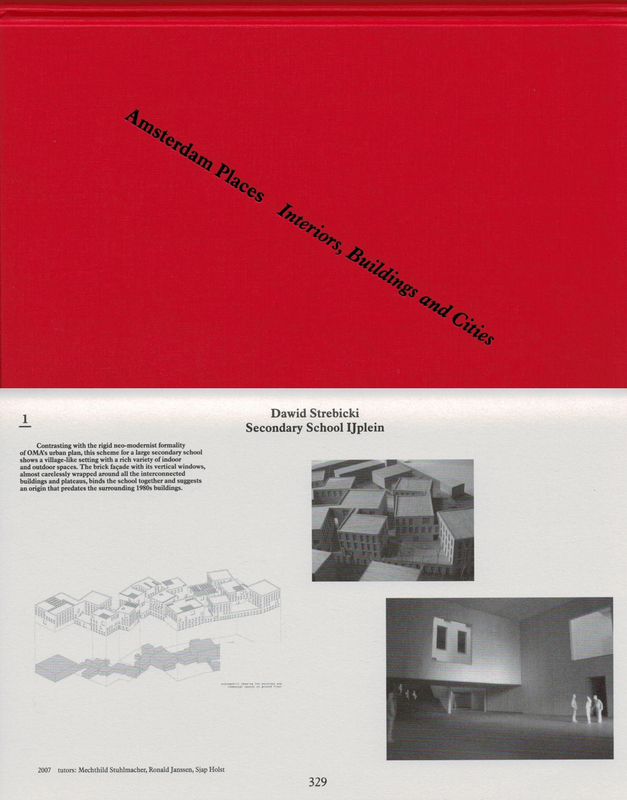 Graduation project “School in Amsterdam” (academic year 2006-2007) has been published in the book “Amsterdam Places”.